I’m not really a big believer in the old saying that “What happens in Vegas stays in Vegas…”. In my mind, the best travel experiences are the ones you can share with your friends and family, that you can brag proudly about as you post endless selfies from in front of famous monuments and landmarks. The other reason to share all of the stories of your adventures is to help other people also have rewarding travel experiences – we humans are good at learning from each other, we share knowledge and we share mistakes, because ultimately that should make us all a little bit smarter. Here’s some tips on how to survive a trip to one of the most popular destinations in the United States – the gambling capital that is Las Vegas. One of the really popular things to do while you’re in Las Vegas is see a big show. 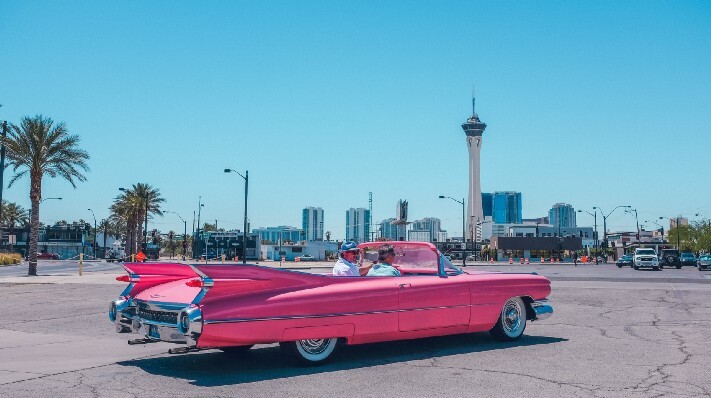 Las Vegas attracts some of the world’s biggest performers from around the world, setting up long-running residencies for heavily-produced and spectacular shows. These shows sell out. You need to think ahead – look at the dates that you’re planning to be in town, check who is playing, buy tickets. If you think that you’re just going to spontaneously waltz into one of Cher’s farewell performances, think again. With a bit of pre-planning you won’t be disappointed. They don’t have clocks in the casinos of Las Vegas. Or windows. While that’s quite handy when you want to lose yourself for a while, to leave the world outside behind you, and just be in the moment that you’re having with the roulette wheel or the blackjack table, you also have to remember that you’ll function better and make better decisions if you get some sleep. Be sensible, and set yourself some time limits. It’s the same as setting yourself your budget when you’re gambling – once you’ve hit your self-imposed curfew, then take yourself off to bed. It’s a good gambling strategy. It’s tempting to rock up to a table and tell the croupier to put it all on black or seven or whatever pops into your head. You’re much better to stick with casino games that you actually know how to play. Find a table with a low minimum so that you’re not losing all of your money on the first roll of the dice. In a place like Las Vegas, it can be tempting to be a bit crazy and spontaneous, but honestly – you’ll regret it. Anything that involves a drive-through ceremony, or a preacher dressed as Elvis has got bad-idea written all over it. Spend your time lying by a pool drinking cocktails, not planning your nuptials with someone that you’ve only just met.